Anti-IDF spokesman's claim that he had beaten Arab suspect proven false during investigation into the alleged crime. The Deputy State Prosecutor decided in coordination with the State Attorney to close the investigation against Breaking the Silence spokesman Dean Issacharof. The investigation was opened after Issacharoff said in a video that he had beaten an Arab during his military service in Hevron. The comments had been made to highlight alleged human rights abuses by the IDF which Breaking the Silence claims take place in Judea and Samaria. The IDF responded by launching an investigation to bring Issacharof to justice if he had broken IDF rules. However, the investigation revealed that the events described by Issacharoff "did not happen at all." The State Attorney's office said in its decision: "During the interrogation, the suspect was questioned, messages were taken from the suspect's company commander during the relevant period, and various investigation materials were collected. From all the evidence, it appears that the incident described by the suspect could be ascribed to only one incident, in which a Palestinian named Hassan Giulani was arrested in February 2014. During his interrogation, Issacharoff did not deny the statements made by him, adding details about the date and circumstances of the incident in question. The suspect even noted that "I had to use force to stop him" and that it was not possible to handcuff the Arab without the use of excessive force. In his statement, Giulani confirmed that he was arrested after throwing stones at the soldiers, as the suspect described. However, Giulani denied that his arrest was accompanied by any kind of violence on the part of the soldiers, except for the use of force to handcuff him, which was required in view of his resistance to the handcuffing. Giulani claimed he was not beaten, not bruised, did not bleed, did not feel dizzy and did not pass out. The investigation further revealed that Giulani had filed no complaint over excessive force during his arrest, and that there were no indications of any wounds or injuries to Giulani's body. In addition, Giulani's testimony matched that of Issachoroff's commanding officer, and not that of Issachoroff. The prosecutor's office concluded, "From all of the above, it is clear that the suspect's version of his beating Giulani until he "bled and fainted" was unknown to Giulani himself, the suspect's commander, and did not appear in other investigation materials found in the file . The investigation material and the testimonies indicate that the story is false, and therefore it was decided to close the file opened against him on suspicion of using harsh and unjustified violence on grounds of lack of guilt." Justice Minister Ayelet Shaked (Jewish Home) responded to the closing of the case against Issachoroff: "The spokesman for Breaking the Silence is apparently a liar who defames Israel's name in the world. Kudos to [Issacharof's] IDF mates who were not indifferent and did not remain silent about his lies. It's good that the truth came out about this organization which makes money disparaging IDF soldiers and citizens of Israel." 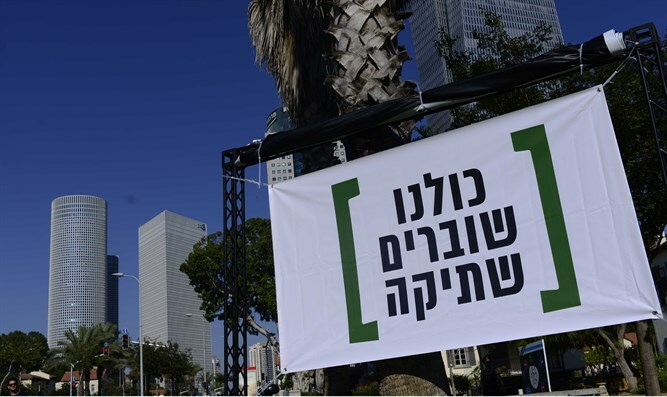 Im Tirtzu Chairman Matan Peleg said in response to the closure of the case: "This merely confirms what we have known all along: Breaking the Silence's 'testimonies' are in fact fabricated propaganda with the sole purpose of slandering the IDF and delegitimizing Israel. There is no limit to the depths that Breaking the Silence and its foreign government and New Israel Fund financiers are willing to go in order to defame Israel."